While the new home jersey for our national football team – the Harimau Malaya – by Nike Malaysia is readily available at Nike Stores and Al-Ikhsan outlets throughout the country, the national team seems to favour the blue jersey (a.k.a the away jersey) more by donning it in all their AFF Suzuki Cup 2012’s matches to so far. Unfortunately, the jersey was not released at the same time as the home jersey for unknown reason. However, we have learned earlier today that the new Harimau Malaya’s away jersey is now available at selected Nike Stores. As per the home jersey, the new Malaysian national football team’s away jersey is priced at RM 229. On the side note, we wish all the best to our national football team for their match in Bangkok tonight despite all the problems that the team faced there. 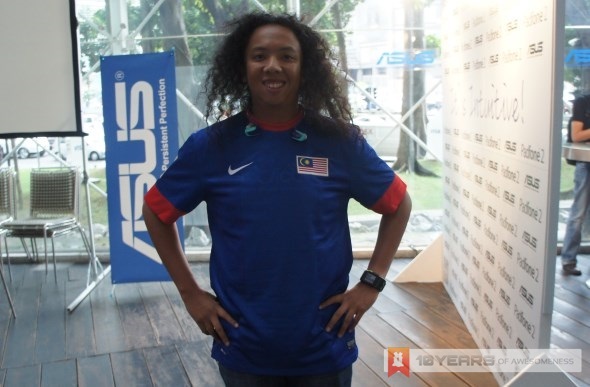 Hope to see you guys in the finals of AFF Suzuki Cup, Harimau Malaya!